Learn how to make a guava bonsai step by step in this guava tree information article. 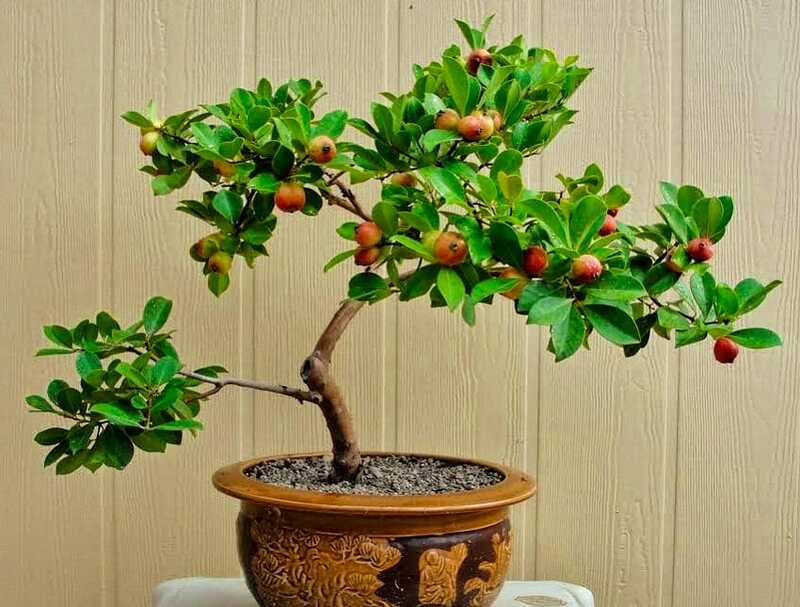 Guava tree becomes an excellent bonsai and doesn’t require too much care or maintenance. The guava is a tropical plant and therefore, it should be placed outdoors on a location that is sunny. If you live in a temperate region keep your guava bonsai indoors in winter. Use good quality bonsai soil mix composed of one-fourth part each of Akadama, Demolin Clay, Pumice, and Humus. Guava tree bonsai has moderate watering needs. The soil should never dry out completely otherwise the fine roots will die. Provide regular and deep watering when the tree is actively growing but reduce watering in winter. In fall, the tree must be monitored more closely and must be watered only if the soil dries out or leaves starts to wilt. 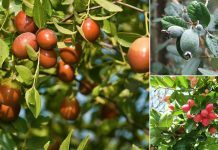 The typical habit of this tree is to grow lots of branches and twigs, which should be pinched and pruned regularly to keep guava bonsai in the desired shape. Also, remove suckers as soon as you notice them. 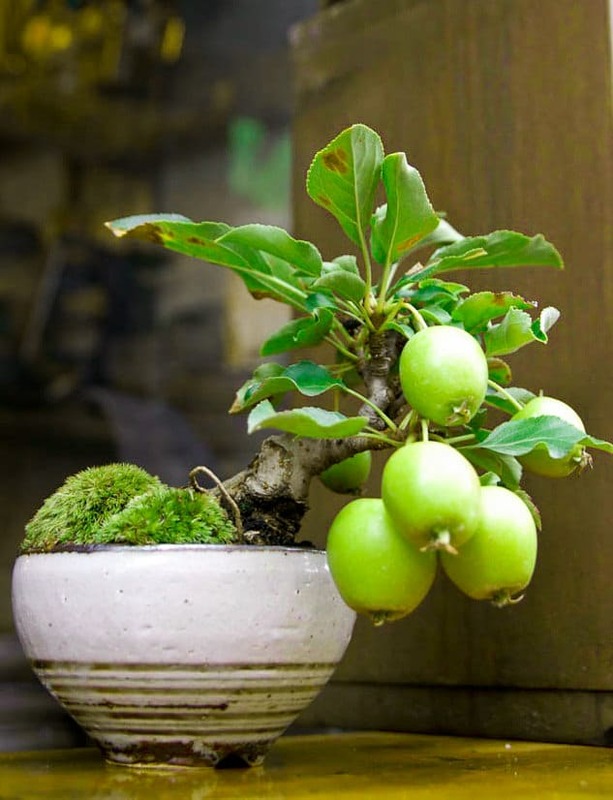 Another method to influence the shape of a guava bonsai is wiring. Its branches are rigid when matured and extremely easy to break. That’s why it is best to wire it when branches are young, using a copper wire. Wiring is best done in winter months and after the defoliation. 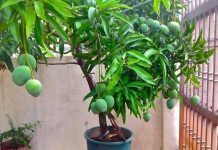 Guava bonsai needs fertilizer during the growing season from spring to fall (autumn) using an organic balanced liquid fertilizer. Fertilizing should be suspended in winter or when the tree is not growing or if it is recently repotted. To prevent the tree from being pot-bound, regular repotting is crucial. The guava tree should be repotted in every 2 years in the spring. When repotting, pruned the roots so that the plant can fit in the pot. This also stimulates a better root system. Prune up to 1/4 root mass. 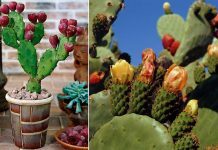 In colder zones, it should be brought indoors since the Guava is a tropical plant. The temperature should be around 55-60 degrees Fahrenheit. At the temperature below 50 degree Fahrenheit the tree starts to loose leaves. It must be ensured that tree is overwintered in particularly the brightest spot possible, away from cold drafts. The best protection against diseases is a careful maintenance and regular inspection of guava tree bonsai. Although, guava is a tough plant but it can be attacked by common pests that are easily repelled by the use of organic pesticides.